It's Thanksgiving week and the Gulf beaches of central Florida have some fun events that you won't want to miss! 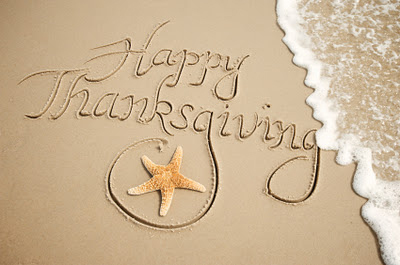 We hope you can pencil-in some time at our local beaches and in our beach towns amidst the time you have planned with family, the turkey dinners, and the shopping excursions. Speaking of shopping, the holiday season kicks off on Corey Avenue in St. Pete Beach on Black Friday, November 23. Corey Avenue lights up and welcomes you to stroll the streets and visit the local merchants, as they are decked out for the holiday season. It's a shopper's paradise that offers specialty shops, restaurants, art galleries, clothing stores, gift shops, craft and hobby shops, beachwear shops, a theater, and more. It's easy to make a day of it. At the heart of St. Pete Beach, Corey Avenue has thrived for over six decades. Visitors enjoy a nice combination of friendly service and exceptional sales all while surrounded by a fun atmosphere in a beautiful setting. With over 17 merchants offering everything from antique shopping to boutique shopping, it's a great opportunity to find the unique gifts you're looking for. It's your chance to shop local and support the local businesses of the area. The shopping and sales begin at 10a.m. and continue to 7p.m. You can find a full listing of Corey Avenue merchants here. After you've shopped 'til your heart's content, stay on into the evening for the 4th Friday Food Truck Festival. 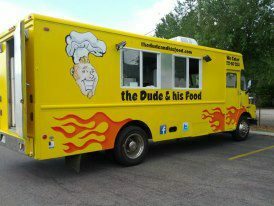 Some of Tampa Bay's top food trucks roll in from 5p.m. to 9p.m. to satisfy all of your cravings. It's a welcome break from the turkey leftovers! The food truck lineup includes Dude and His Food, Mike's Off the Hook, Gringos Burrito Box, O'Macalicious, American Wiener, Dochos Concessions, Maggie on the Move, Killer Samich, Mobile Munchiez, Gone Bananas, and Nate's Q4U BBQ. The choices are mouthwatering and sure-to-please. Also enjoy live music by Kevin Wilder Jazz and sing along to some holiday favorites. Kapfer Glass Studio hosts a hands-on crafts table for the kids, so there is a little something for everyone. Corey Avenue is located off of Gulf Blvd. in downtown St. Pete Beach. Admission and parking are free! For more information, visit the Historic Corey Avenue website. Also this weekend, make plans to attend the Indian Rocks Beach citywide garage sale on Saturday, November 24 and Sunday, November 25. It's a bargain hunter's delight! Come on out to cruise the streets and peruse the local treasures. Plan to stay on the quiet, pristine, small town beach areas of Indian Rocks Beach and Indian Rocks Shores, and you'll be a stone's throw away from the bigger towns of Clearwater and St. Petersburg. Our vacation rentals offer access to white sandy beaches and the warm Gulf of Mexico waters on the west side as well as the quiet Intracoastal waters on the east side. The choice is yours! We wish you a safe, meaningful, and enjoyable Thanksgiving holiday. If you're in the area for the holiday, tell us about how you spent your time. Our comment section welcomes you! Happy Thanksgiving!